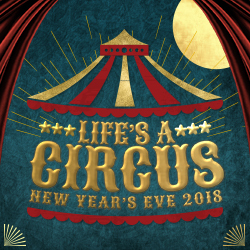 "Please join us under the Big Top as we usher in 2018 with a circus-themed extravaganza. Our ringmasters will set the mood for a spectacular evening featuring acrobats, aerialists, percussionists, fire-eaters and, as a grand finale, a pyrotechnic display at midnight. Step right up for the most colorful New Year's Eve celebration ever!" SELECT Members and their party receive a bottle of bubbly with dinner or VIP packages, or 25% off General Admission tickets ($75 instead of $100). To RSVP, email Kristy Meyer, at kristy@nikkibeach.com and mention you are a SELECT Member. 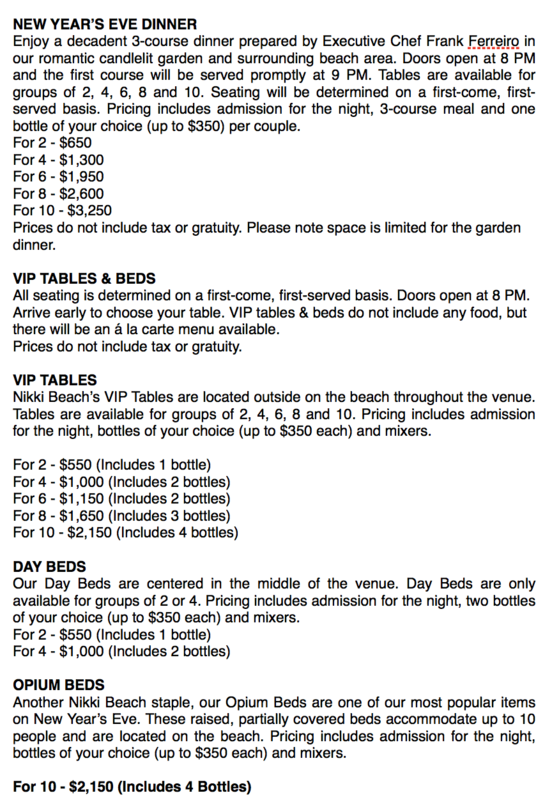 TO VIEW VIP TABLES, PACKAGES, AND DINNER MENU, CLICK THE EVENT FLYER AND HOVER OVER THE RIGHT SIDE TO CYCLE TO THE RIGHT.